SMRT Trains welcomed Coordinating Minister for Infrastructure and Minister for Transport Khaw Boon Wan to Kim Chuan Depot last Friday (26 May 2017) as we marked 200 disruption-free days on the Circle Line. 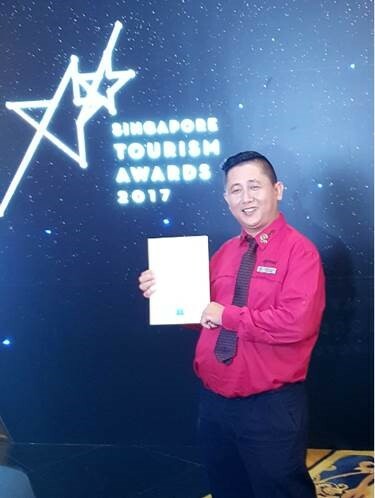 Minister Khaw said that our colleagues “are working hard to raise rail reliability” and are “pressing on to improve it further”. We thank the Minister for his encouragement. 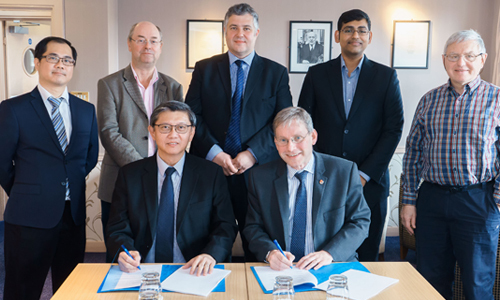 SMRT Corporation and the University of Birmingham, one of the top universities for railway science and education in the United Kingdom, have embarked on four research projects that will enhance the reliability of railway networks. About 20 SMRT engineers will be involved in research carried out at the University’s state-of-the-art railway laboratories. When necessary, SMRT equipment and engineering staff will be sent to the UK or vice versa depending on the nature of the projects. The projects are guided by a Master Research & Collaboration Agreement signed between the University of Birmingham and SMRT Corporation promoting joint research into railway engineering by both signatories. Under the agreement, researchers from the University and SMRT Trains will look into projects to improve the reliability of rail infrastructure and power systems. Commenting on the joint research effort, Mr Ng Bor Kiat, Chief Technology Officer, SMRT Corporation, said: “We are delighted to partner the University of Birmingham once again to deepen and broaden expertise in railway engineering. These research projects complement the effort by SMRT Trains to work towards a reliability-centric maintenance approach. This will benefit commuters as engineering staff can intervene proactively to fix faults before they occur. In October 2016, SMRT Corporation and the University of Birmingham jointly announced the launch a post graduate course in railway engineering. The three-year course is the first of its kind for engineers here. It is jointly administered by the SMRT Institute, which serves as the academic centre for SMRT Corporation, and the University’s Birmingham Centre for Railway Research and Education (BCRRE), whose railway education programmes attract staff from leading metro operators such as the London Underground and the Taipei Metro. The course is unique because it provides course participants with perspectives from an institute of higher learning for railway education as well as real-world operator experience. The intellectual framework provided by the University of Birmingham, when strengthened with lessons learned by SMRT Trains in the course of running heavy and light rail systems, will contribute to accelerating the development of our rapidly growing railway engineering workforce. This is achieved by providing a strong academic foundation for course participants, tempered by knowledge of how classroom concepts are applied in real-world situations. 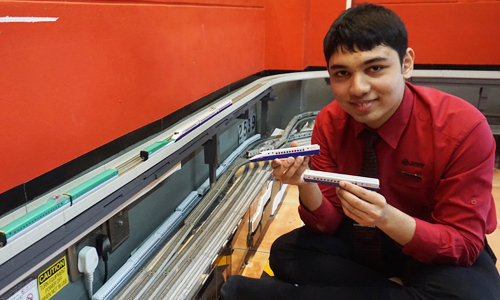 At the age of six, Isaac Nathaniel D’Souza was presented with a SMRT train model by one of our colleagues. 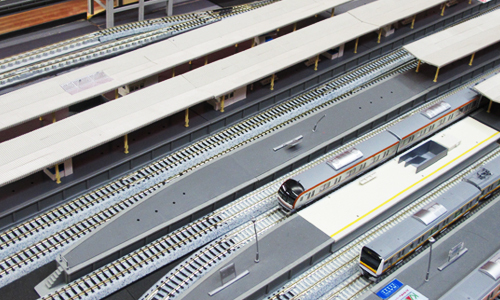 His fascination with trains grew exponentially, and he is now the proud architect of his very own SMRT Land – an intricately-built miniature city of electrical train models – right in his home. Thank you Minister Khaw Boon Wan for your kind words of encouragement and appreciation to all public transport staff. 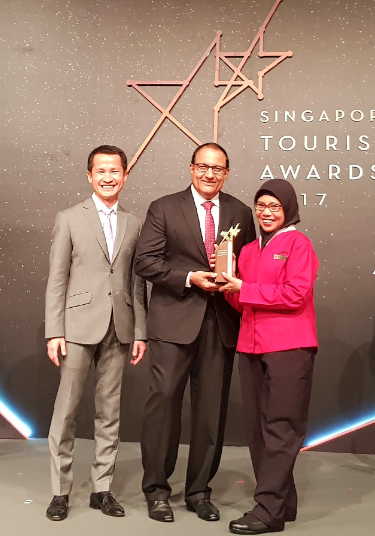 http://blog.smrt.com.sg/wp-content/uploads/0101.jpg 185 401 Editor http://blog.smrt.com.sg/wp-content/uploads/Blog.png Editor2017-05-02 09:53:572017-05-02 09:55:56Thank you!